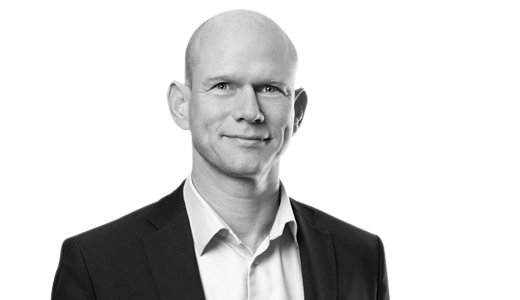 For 37 years, Novo Nordisk Pharmatech was an independent company known as FeF Chemicals. 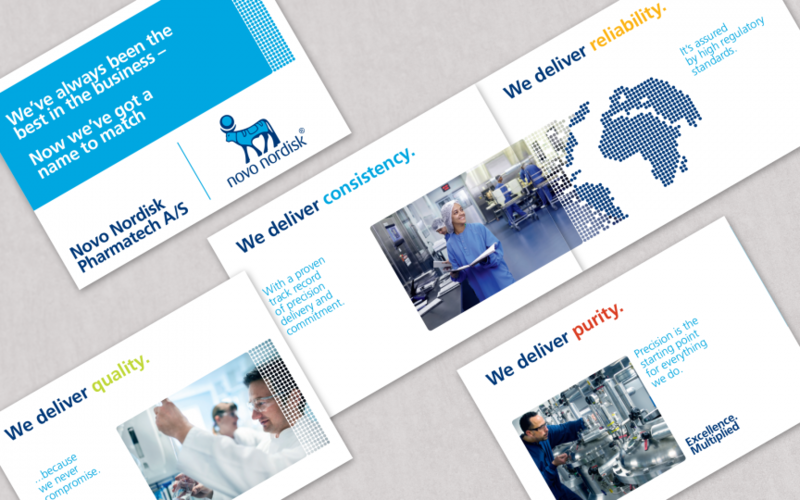 The business was acquired by Novo Nordisk in 1986 and over the years that followed FeF Chemicals quickly evolved into a pharmaceutical specialist. 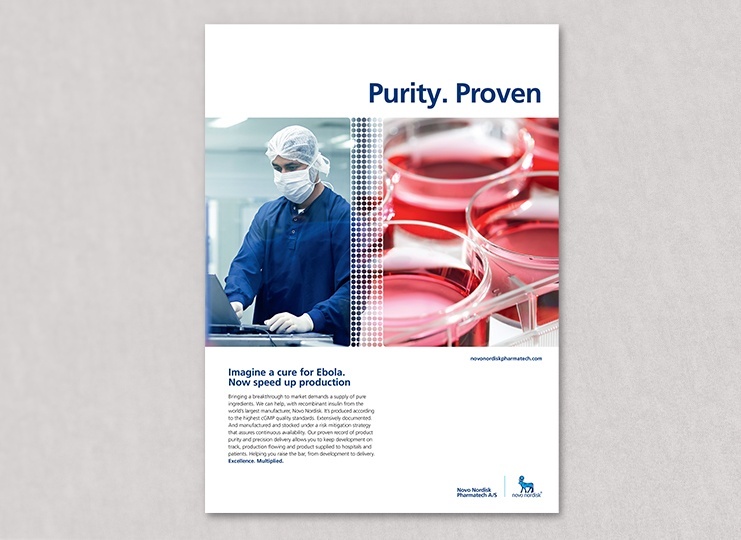 Management decided that the business would have further potential under the strength of the Novo Nordisk group name. As a result, a major rebranding project was initiated with CBC to develop a new identity and creative platform for internal and external channels. 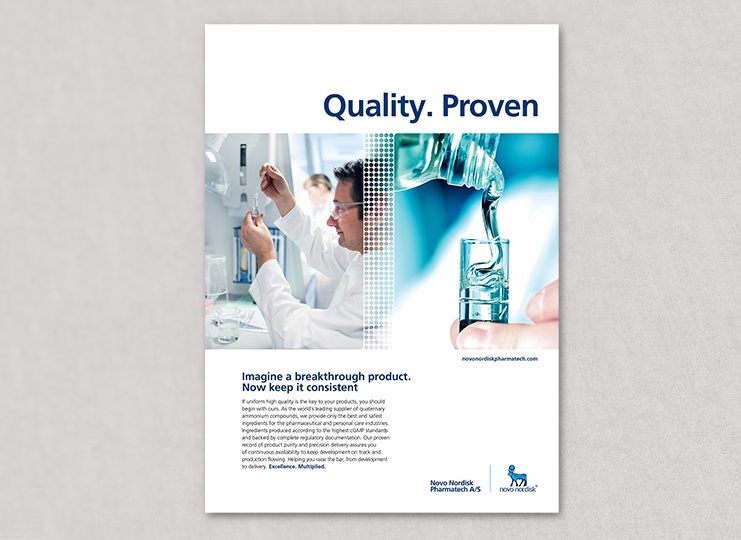 CBC created a strong value proposition and identity under the concept “Excellence. Multiplied.” This conveyed the company’s dedication to quality across hundreds of products as well as the purity and precision of its processes. 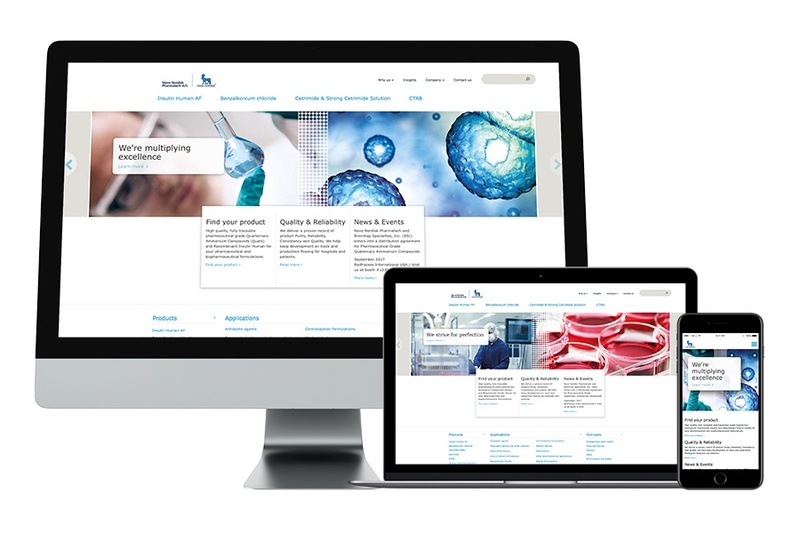 As a central marketing piece, a new website was created from scratch, from structure, content plans and wireframes through to content production, technical implementation and testing. 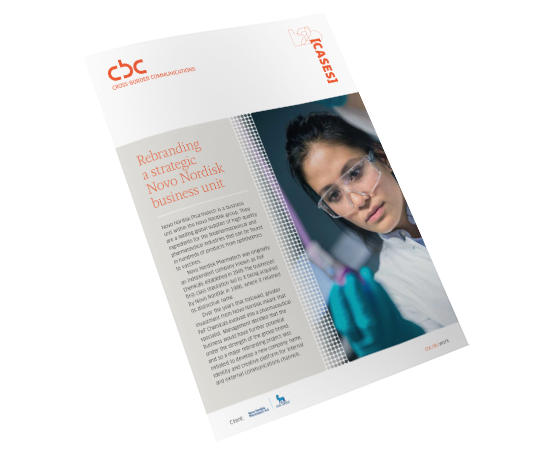 An internal launch campaign was developed to help staff understand the thinking and strategy behind the rebranding process through a series of engagement activities. 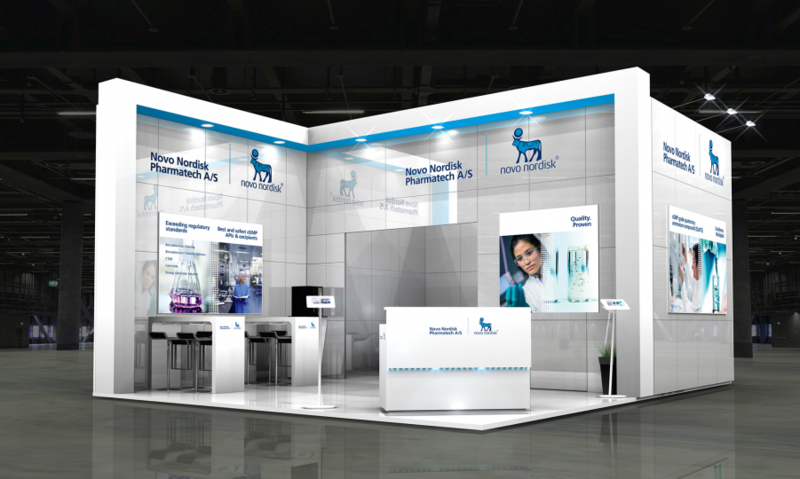 The visual identity and messaging transitioned perfectly to a trade show environment.